State Sen. Joan Huffman is facing criticism after authoring a measure allowing elected officials and bureaucrats to disclose less information about their spouses' property and financial activity. She says the change was needed to clarify an “unclear” Texas Ethics Commission rule. One explanation for the gap might stem from something that's not included in her ethics reports: any mention of the income or vast business holdings of her husband, nightclub owner and manager Keith Lawyer, who is tied to dozens of businesses with current or past filings at the office of the Texas secretary of state. Lawyer briefly became an issue in the Houston Republican’s 2008 Senate race, amid reports that Huffman received heavy support from interests tied to liquor, gambling and nightclubs. But the Houston senator's last-minute advocacy of controversial amendments widening the so-called spousal loophole — quietly slipped onto bills that were supposed to increase transparency — will make it even harder for voters to untangle the finances of their elected representatives in Austin. Huffman said in an interview on Saturday night that she did not push the change in the law to shield her husband's business interests from public view. And she said she has always disclosed what state ethics laws says she must. “I think I report exactly what I’m required to report under the law, and I will continue to do so and follow the law utterly to its exact requirement," she said. Asked if she could afford to live on the limited income she reports on her ethics reports, Huffman said, "I don't think that's any of your business." The Huffman amendments — one version is already awaiting action from Gov. Greg Abbott — would roll back an ethics rule designed to ensure maximum disclosure of certain property held by the spouse of any elected official or high-ranking bureaucrat required to file personal financial statements at the Texas Ethics Commission. Sen. Van Taylor, R-Plano, author of the sweeping ethics bill that fell apart in the final days of the session, tacked the provision onto a bill on May 26 that was otherwise designed to increase transparency and curb conflicts of interest on state boards and commissions. Taylor authored the amendment after Huffman requested it as minor clarification of existing law. That measure, House Bill 3736, is likely to be approved Sunday. Even if that measure fails, though, an identical version of Huffman's amendment is already on Abbott's desk. The amendment was tucked into House Bill 3511 in Huffman's State Affairs Committee on May 21, passed by the Senate on the fast track "local and uncontested" calendar Wednesday and then approved unanimously by the House on Friday. Huffman said the change was needed to clarify an “unclear” rule adopted by the Ethics Commission last year. 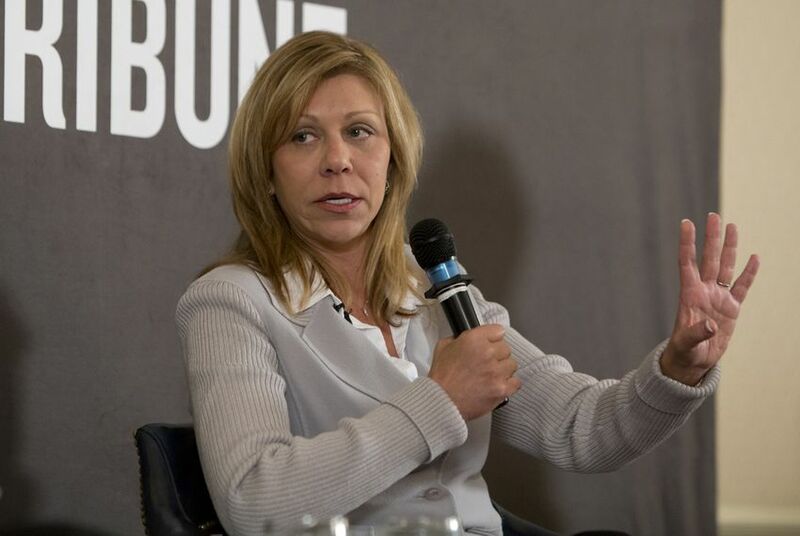 “The law is simply codified to reflect what the law has been for years until the Ethics Commission by rule changed it on their own vote,” Huffman said. The rule was created in the wake of a scandal involving a lawmaker who failed to disclose cars that were registered in the name of a transportation contractor who stood to gain from legislation the lawmaker sponsored. The stated reason for not disclosing the cars: They were given to her husband as compensation for accounting work he did. After that controversy, the Ethics Commission sought to define a nebulous area of the law — still on the books unless and until Abbott signs the Huffman amendment into law — that had already been panned by ethics watchdogs as too weak. It says that the financial activity of a spouse must be revealed only if the elected official or bureaucrat has “actual control” over it. Huffman’s amendment doesn't just repeal that rule. It removes the word “spouse” from the part of the law saying what type of financial activity must be included on a personal financial statement. In its place it says politicians and bureaucrats have to reveal community property that is considered separate and under their exclusive control, or when they exert “both factual and legal” control over the property. Government watchdogs say the change, if ultimately adopted, would open up a far bigger loophole than current law, and moves away from Abbott’s call to “dedicate this session to ethics reform.” It's unclear where Abbott comes down on the specifics of the spousal loophole. “Abbott says transparency is a priority. Huffman's amendment closes the door on transparency," said Craig McDonald, director of the liberal watchdog group Texans for Public Justice. "It allows politicians to hide their assets and business deals behind their spouses. Abbott's team is moving backwards on ethics reform, not forward."